A simple flecked fair isle pattern distinguishes these sweet little mittens which feature ribbed cuffs to keep them snugly on your little one this winter. Choose from Baby Smiles Merino Wool, Baby Smiles Bravo Baby 185, or Baby Smiles Cotton, all of which are designed to be extra soft on your baby’s skin, chemical free and easy care, and all come in a great range of colors. 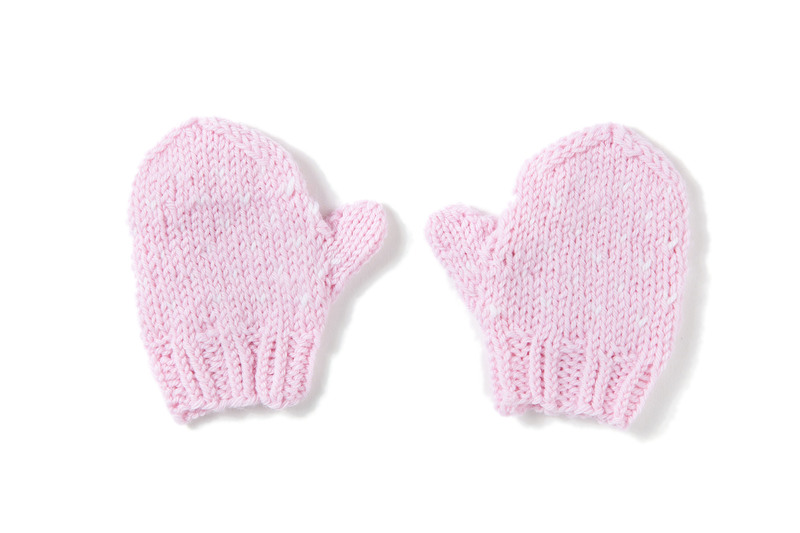 In one size to fit little hands 4 inches (10 cm) long and 5 inches (12.5 cm) in circumference.